My previous post was written during my first trip to the National Archives at Kew, while I was awaiting my first documents to be precise. 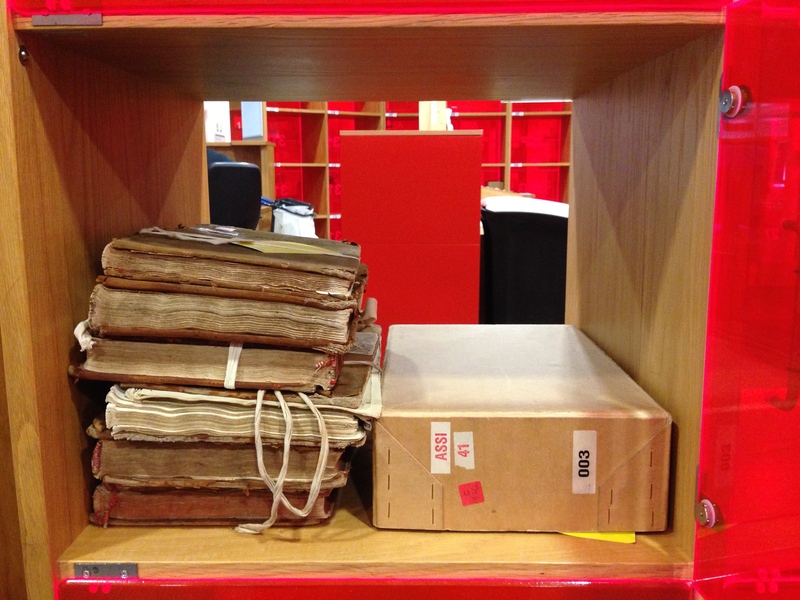 In it I offered some advice on archives research, based on numerous previous mistakes, and so this week I thought I’d give you a taster of what I found. Just before I begin though I would like to mention how great I thought the National Archives were. Having experienced archives both regional and national of very differing qualities, I was struck by the openness, attention to detail and most importantly the relatively relaxed nature of the whole experience. This is pretty rare. My only minor complaint was the relative frequency with which the wrong documents are delivered or put in the wrong box, considering it takes 30-40 minutes for each document to arrive it can be really frustrating when an ancient Chinese text arrives instead of the Durham Gaol records! There are myriad things that I need to see at the National Archives before completion of my thesis, but given the shortness of the visit (2-days) I kept a tight focus. I was looking specifically at post-death sentences between 1752-1832. By this I mean examples where people faced the additional punishments of either dissection by surgeon or gibbeting (being hung in chains). These were almost exclusively for Murder, but there are instances where crimes like Highway Robbery were punished too. Robert Hazlett, was sentenced to death at Durham in 1770 for Highway Robbery and was sentenced to be gibbeted, his body was duly taken and encased in a metal cage on Gateshead Fell, where it stood for many years. 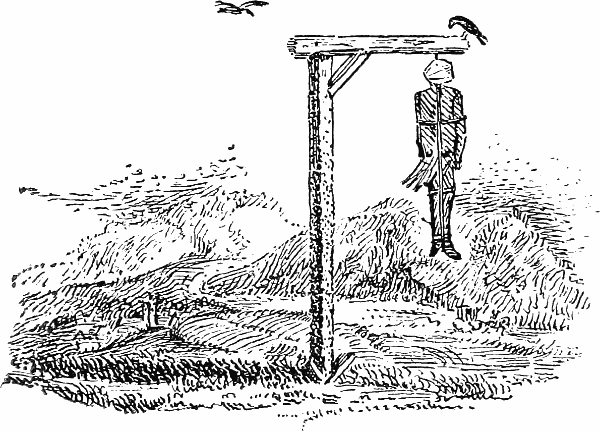 Gibbet – Thomas Bewick courtesy of Newcastle Central Library. The place where Hazlett hangs is the finest place in the world for the walk of a ghost…His shadow appears in the water, and suggests the idea of two malefactors. Revered James Murray’s ’Travels of the Imagination, a True Journey from Newcastle to London cited in J. C, “Travels of the Imagination.,” Monthly Chronicle of North-Country Lore and Legend 5, no. 58 (December 1891): 564–65. What struck me, looking at the documented records of sentences, was just how matter of fact they seemed. More often than not they were simply a few words “to be hanged” written above or beside the name of the defendant. The printed source offers none of the horror that those few words would have carried. There was one sentence though that was particularly brutal, that of Peter Patterson for treason in 1761. Even in an era of additional bodily punishment, through the gibbet and surgeons knife, the punishment for treason is markedly violent. In his seminal work on execution Gatrell gives an indication of the reason d’être behind this brutal spectacle. since it was in the traitor’s body that felonious or treasonable thought was conceived, each bodily part bore its own responsibility for aspects of the crime and was punished accordingly. The sentence took me back over a decade to the very thing that got me interested in this subject. Whilst, studying History and Politics BA at Sheffield University I came across Michel Foucault’s Discipline and Punish and the opening page shook me to my senses. The horror and brutality of the actions described made me want to find out what sort of society could create such a punishment and more importantly what that punishment said about that society as a whole. That interest has been the driving force behind my research ever since and so, it was oddly comforting to be re-confronted with it all these years hence. This month I have been thrown something of a curveball, by way of the 3 Minute Thesis Competition. Having never heard of this before, I was approached last minute to ask if I would represent Sunderland University. The competition is fairly self explanatory, in a TED talk esque style you have to convey the nature and importance of your research to a public audience in no more than 3 minutes (roughly 400 words to the average speaker). This is surprisingly difficult and made even more so by the additional rule that you are allowed no notes. The politically minded amongst us will remember the trouble noteless speeches caused for Ed Miliband in the run up to the election. * As such, my last two days have been spent battling a cold and honing my speech and presenting to myself in my study (hoping I don’t lose my voice! Anyway, the competition is in two hours and I will let you know how I got on (apparently they’re filming it!). I’m not hoping for much, as long as I beat David Brent i’ll be happy. A brutal reminder of the outside world came in the form of my first HMRC self assessment reminder. Having left my full time job last year to start the PhD and become freelance, I had forgotten what it is to have a job where it’s all done for you. Luckily I have until October to do it, but I need a song to get me through it. Could’ve had Creedence Clearwater Revival’s Fortunate Son or The Kink’s Sunny Afternoon, but i’ll go for the most obvious song about tax, partly because it’s great and partly for this line that felt somehow relevant to my study.